It's not the School. It's the Instructor. Why Choose I Love to Drive? 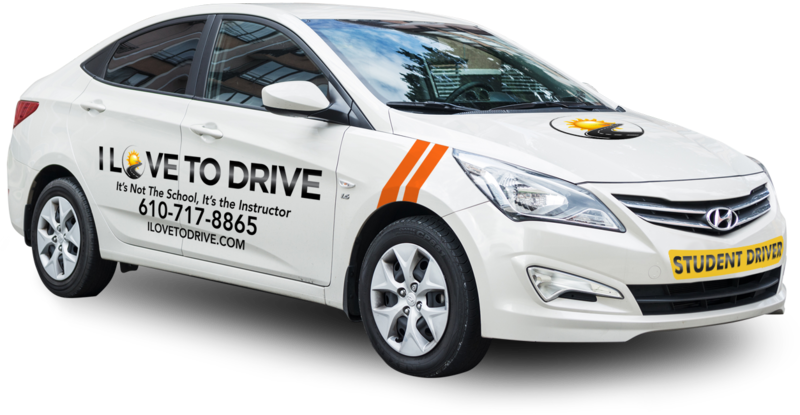 At I Love To Drive we customize our lessons for all our students, from those that have never been behind a steering wheel to those that are feeling almost ready to take the drivers test. Instead of using a formalized plan with every student, as many schools do, we will evaluate your skill strengths and weaknesses and develop an individualized plan just for you. From the absolute beginner to the more advanced driver, we accommodate your specific needs. If you’re just learning how to operate a car or are more experienced but need help with parallel parking, changing lanes, highway driving or maybe dealing with fear of city driving or bridge phobia, we are here to help you. We also have available, test prep lessons for those ready to take their examination, along with day of test service to accompany you and calm your nerves. Dual-controlled cars with dash cams equipped with video and audio recording capabilities. Dash cams are for safety reasons only. Lessons are not viewed unless there is an incident or an accident. Employee driving evaluations, mature driver and Au Pair evaluations are also part of our services. I Love To Drive aims for and encourages progress as a goal for every lesson we teach but we will never force you beyond your comfort level. As your skills grow with us, so will your confidence. 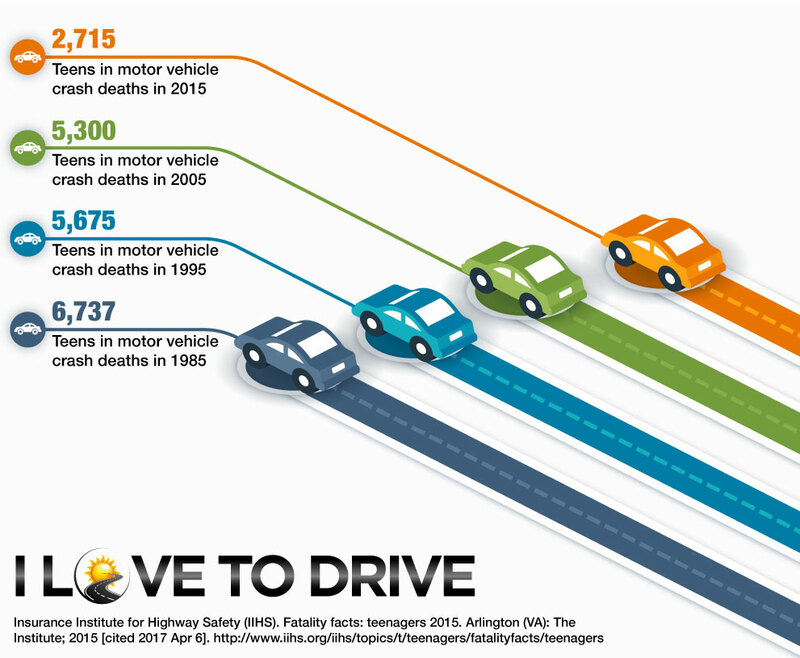 In the last decade, teen deaths due to motor vehicle crashes has dropped by nearly half. This is greatly due to the introduction of Graduated Driver Licensing (GDL) programs that allow young drivers to safely gain driving experience through drivers ed, supervised driving, and a driving test before obtaining full privileges. Need your test fast? Can't wait to schedule at the DMV? Expedited testing available through Penndot third party test centers. Centers for Disease Control and Prevention. Youth Risk Behavior Surveillance System 2013 YRBS Data User’s Guide [Online]. (2016). AAA Foundation for Traffic Safety. AAA Foundation for Traffic Safety Report: Using Naturalistic Driving Data to Assess the Prevalence of Environmental Factors and Driver Behaviors in Teen Driver Crashes. May 2015 [cited 2017 Apr 10].